I remember not too long ago sitting in a monthly staff meeting when one of my co-workers, conveniently nicknamed “The Professor” stood up and quoted the above infamous speech of Frederick Douglass. At the time it was comical and we all broke into an uncontrollable bout of laughter. It was last night as I sat watching local news as reports and videos of the riots taken place in Ferguson, Missouri that this quote made perfect sense. Following the unwarranted shooting death of teen Michael Brown, Jr by a Ferguson Police officer on the afternoon of August 9th, 2014 our city was in an uproar. It was following a peaceful protest and candlelight vigil at the scene of the this tragedy that a riot ensued. 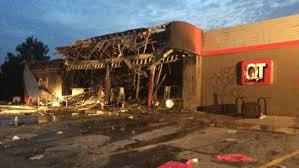 While I am just as enraged as the next person at this senseless crime I don’t see what we are accomplishing by destroying the businesses that we [African-Americans] benefit from. Granted I am not a citizen of Ferguson, I know there are certain businesses that are black owned and operated. There is no justification for the actions of those opportunist who took advantage of a city that was already in turmoil. What does looting have to do with justice for Michael Brown and his grieving family? Now I’m not the smartest person in the world but I’m pretty sure stealing bags of Indian Remy 18-inch weave did not resurrect the dead or pressure the Saint Louis County Prosecuting Attorney to press charges against the officer responsible. So again I ask, “What have we accomplished?” Have we learned nothing from those who walk this walk before us? 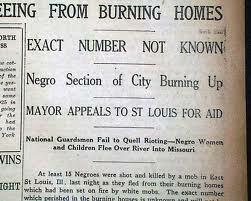 Rioting and tearing up our own ish [yes I said ISH] has never done anything but add to the problem. The family of Mike Brown begged everyone to go home last night in wake of the looting and riots, their pleas fell on deaf ears as the crime continued. I continue to urge the angry citizens to think of a different approach to getting your point across. A community has been destroyed by this tragedy but does that mean we do more damage? Why not take the road less traveled by doing exactly what law enforcement and those in a position of power don’t expect us to do. Why not hold a peaceful protest outside the county prosecutor [Bob McCulloch’s] office and place pressure on him to do a thorough investigation to bring formal charges against the officer responsible? I would venture to say that because half of those partaking in these crimes have no clue who the Saint Louis County Prosecuting attorney is. Last night was the exact reason that we as a race are 100 years behind, I’m beginning to think that the Willie Lynch Letter and mentality is more than a hoax. Ferguson, Missouri today looks like a modern day Pruitt-Igoe, do you honestly think those business are going to rebuild? Those individuals responsible for the crimes committed on last night are most likely not even residents of Ferguson, they saw an opportunity and took advantage. Now what do we have? I saw several posts on social media comparing the weekends events to those of the 1960’s Civil Rights movement, how dare you people place yourselves on the same platform as those who were the epitome of peaceful protestors. How many sit-in’s were staged in which blacks never once fought back? True, the officers used excessive force against those who were unarmed and not a threat, yet last night they allowed people to “purge” and ruin an entire strip of community. Consider yourselves lucky. I pray for this city, for we are in the middle of a war that has yet to even truly begin. As we mourn the death of this young man we must also mourn for ourselves as a race, we are lost. GOD is not finished with this community, nor has he even begun to make an example of those who justified their criminal actions with the death of a child. read more official reports on the events that took place on August 10, 2014 in St. Louis, Missouri here.